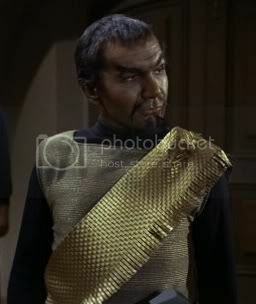 John Colicos played Kor, the first Klingon, in the TOS episode Errand of Mercy. 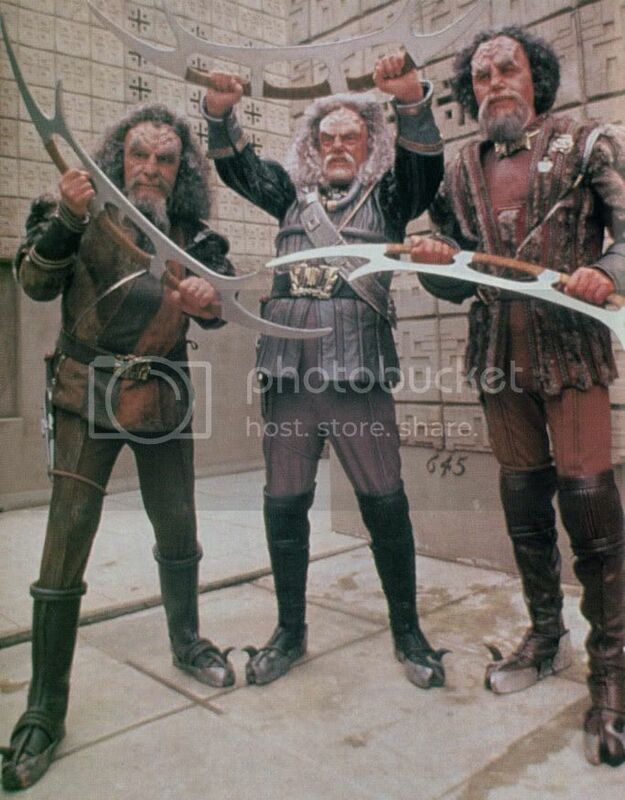 He later went on to reprise that role in 3 great Deep Space Nine episodes, "Blood Oath", "The Sword of Kahless" and "Once more unto the Breach". 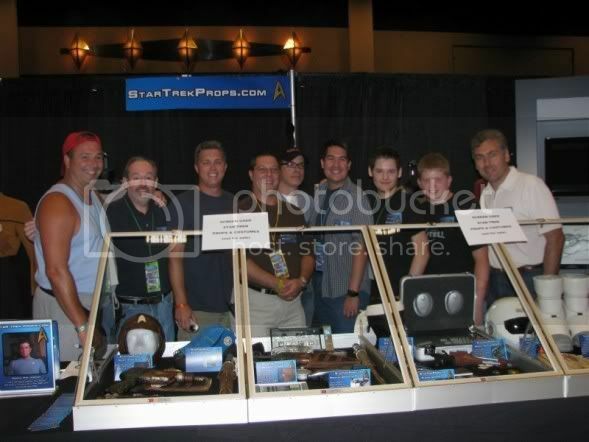 I got to know John Colicos when I had him for an event I put on in Pennsylvania in 1999 that was a Battlestar Galactica reunion (John of course played the baddie Baltar in the original BSG). Little did I know it would be his last convention appearance ever, as he soon after passed away. John was a tremendous person, open and friendly and was a huge hit with my crew at the event. At dinner the first night with Richard Hatch and Dirk Benedict in attendance, it was John who amused us with his stories of acting with Richard Burton! I then tracked down the two costumes, and contacted both parties who won them. One wouldn't sell, but Dave Jackson, of Backlot props, won the stunt costume and so I stayed on him. When he sold everything to Abacus, my opportunity came, and when they put the costume in the Heritage auction last year I won it. 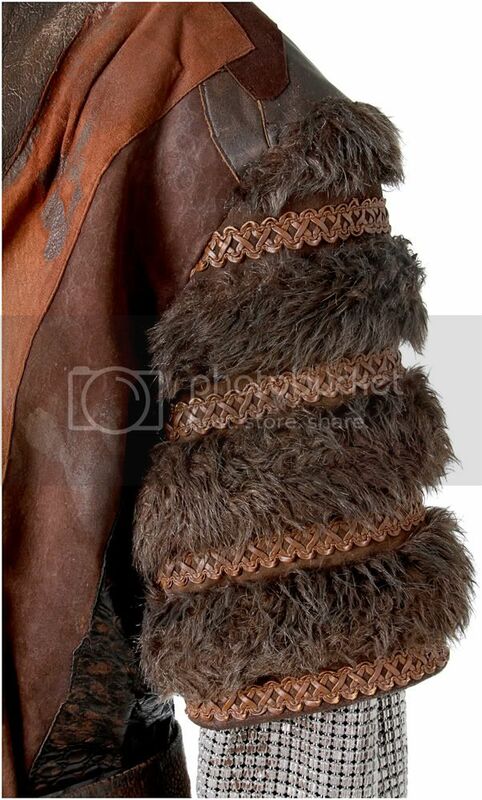 Now both the hero and stunt jackets had been re-purposed for "Enterprise" and had additional fur etc. attached. I removed those elements and was able to put the costume together. 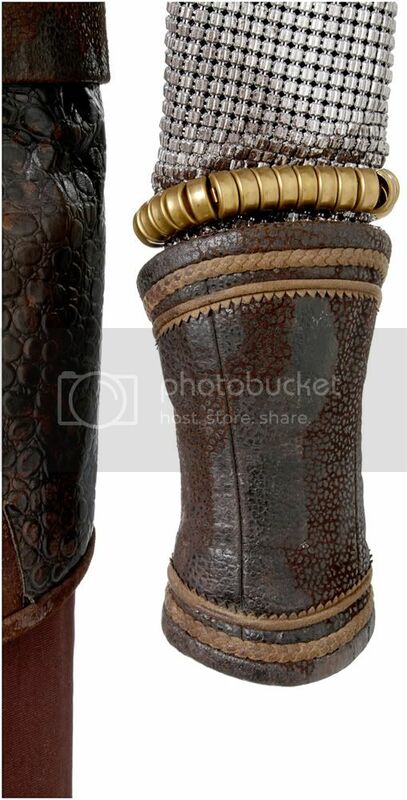 The only element I need is the boots, but those have never appeared. My Propworx photographer, Nick Savoy, took these photos and he is taking photos of a lot of my costumes so I can do more posts like this. I will try and post more often! A 5 minute video on the restoration and legacy of the Galileo Mock-Up.